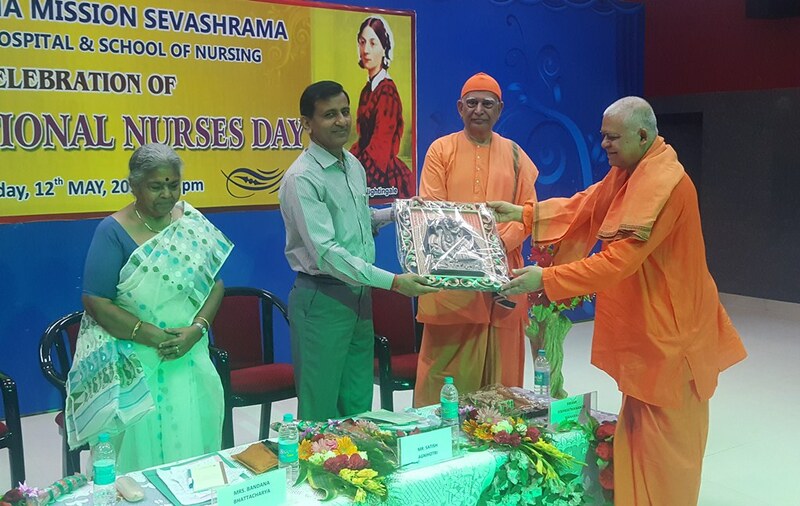 Ramakrishna Mission Sevashrama, Vrindaban, celebrated the International Nurses Day on 12 May 2018. 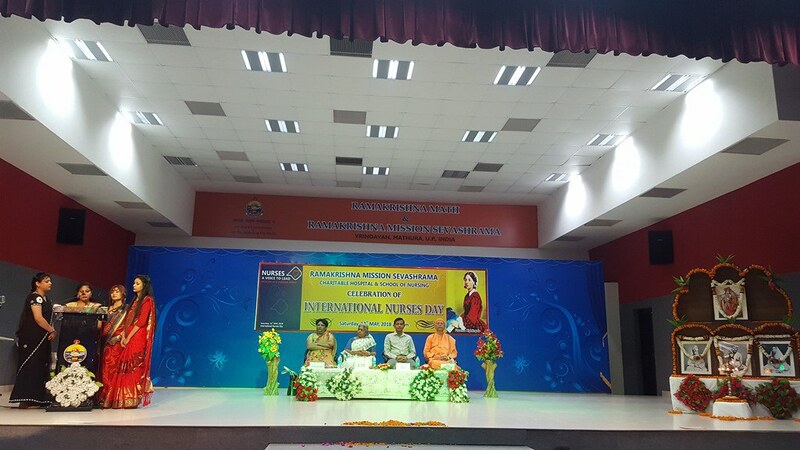 Swami Vishwatmananda ji (Adhyaksha, Ramakrishna Advaita Ashrama, Varanasi), Sri Satish Agnihotri (Chairman & Managing Director, Rail Vikas Nigam Ltd., New Delhi) and Smt. 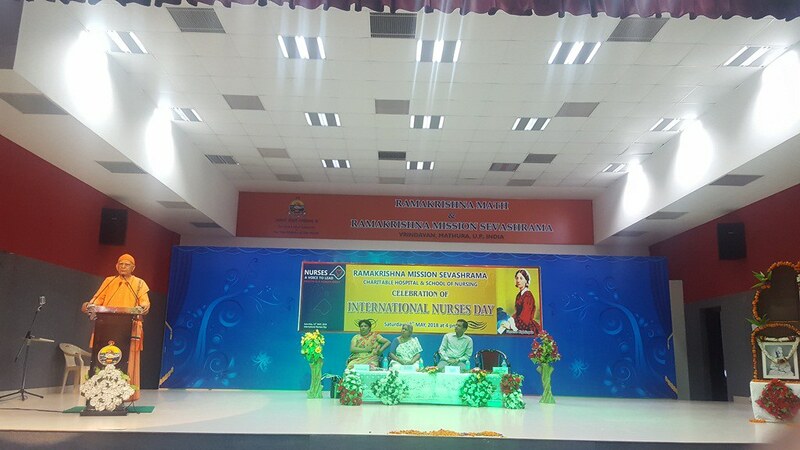 Bandana Bhattacharya (Ex-Principal, RAK College of Nursing, New Delhi) addressed the public meeting conducted at Swami Vivekananda Auditorium. 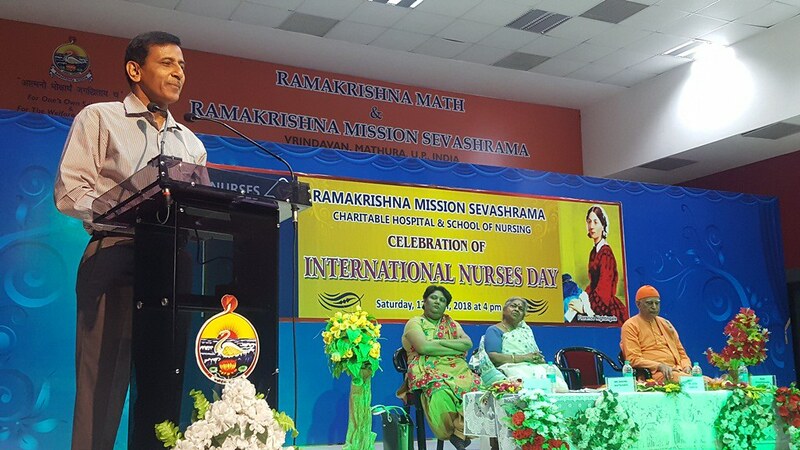 Ramakrishna Mission Sevashrama, Vrindaban, celebrated the International Nurses Day on 12 May 2018.